Over the past decade, whenever I have lectured throughout the country on “Words That Hurt, Words That Heal: How to Choose Words Wisely and Well,” I’ve asked my listeners if they can go for twenty-four hours without saying any unkind words about, or to, anybody. At this point, I almost always encounter the same objection: “How can you compare the harm done by a bit of gossip or a few unpleasant words to the damage caused by alcohol and smoking? ego-destroying criticism, excessive anger, sarcasm, public and private humiliation, hurtful nicknames, betrayal of secrets, rumors, and malicious gossip. Yet–wounded as many of us have been by unfairly spoken words–when you’re with friends and the conversation turns to people not present, what aspects of their lives are you and your companions most likely to explore? Is it not their character flaws and the intimate details of their social lives? If you don’t participate in such talk, congratulations. But before you assert this as a definite fact, monitor yourself for the next two days. Note on a piece of paper every time you say something negative about someone who is not present. Also record when others do too, as well as your reactions to their words when that happens. Do you try to silence the speaker, or do you ask for more details? Most of us who take this test are unpleasantly surprised. For anyone who has read Rabbi Telushkin’s classic, The Book Of Jewish Values, A Day-by-Day Guide To Ethical Living, you already know that Rabbi Telushkin is one of the greatest teachers of Jewish Ethics today. 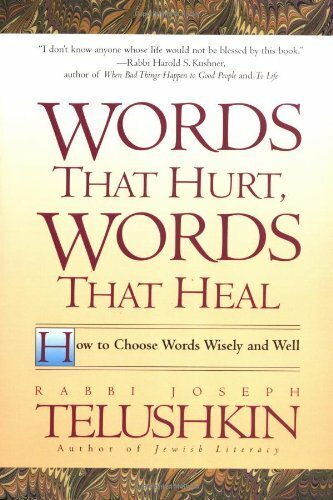 In this book, Words that Hurt, Words That Heal, Rabbi Telushkin again writes a very practical read; one, that if taken to heart and applied to your life, can change your world. He discusses the damage and lure of gossip, the spreading of rumors or other’s secrets, fighting fair, excessive criticism, lying (is lying always wrong? ), and of course words that heal. The injunction against lashon ha-ra doesn’t apply only to the use of words. Making a face when someone’s name is mentioned, rolling one’s eyes, winking, or saying sarcastically, “So-and-so is very smart” are all violations of the law. Since lashon ha-ra is considered anything that lowers another person’s status, it’s irrelevant whether one uses a nonverbal technique to commit it. Jewish law calls this behavior “avak lashon ha-ra” (the “dust of lashon ha-ra”). The “dust of lashon ha-ra”encompasses a whole range of stratagems by which people sometimes damage reputations without saying anything explicitly critical. For example, it’s morally wrong to show someone a letter you’ve received that contains spelling mistakes if all you wish to do is cause the reader to have a diminished respect for the letter writer’s intelligence. Contrary to the old adage, “Sticks and stones will break my bones But words will never harm me,” words do hurt and at times they have motivated people to literally pick up sticks and stones and inflict terrible hurt on others. 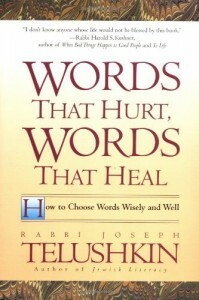 Rabbi Telushkin with great warmth and clarity, speaks to us about the power of words. He reminds us that we do well to remember that G-d created the world with words and we too create with ours. Every day we are faced with the important decision of what we say and what we don’t say. Our words have the power to destroy a person’s world or build it up. A timely read for this season of teshuvah. You can find Words that Hurt, Words that Heal at Amazon.com. What a challenge. I am going to take the challenge for myself to see how far away from Abbas light I shine. Thank you so much. 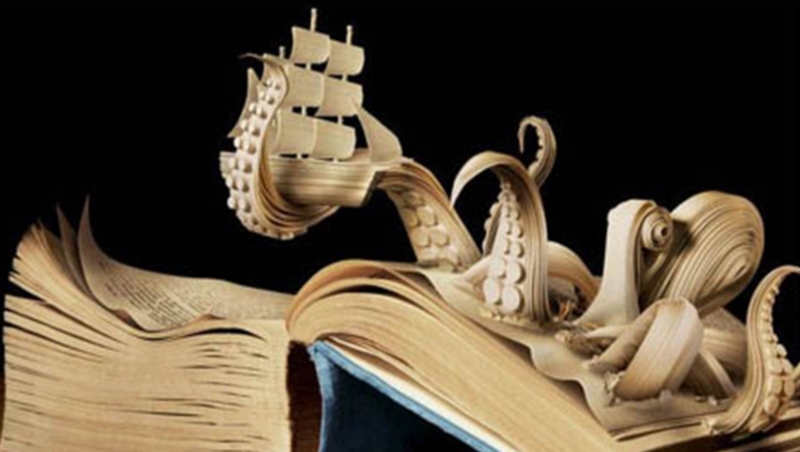 I also hope to get that book soon. Thank you for this gem Cindy! ❤ Jenny you are very welcome. ((((Toni)))) I can relate. This book has made an indelible mark on my heart.